The time to start canning is not in late Summer. The time to start canning is indeed now and throughout the season when fruits and vegetables are at their peak and readily available. We all know that some of the more common fruits seem to get the most attention in the canning process. Who could resist the fresh canned peaches, or the strawberry jams and jellies that hearken one's memory back to the field with each bite. But we often forget that vegetables need some attention in canning also. Sure, some of you have done bread and butter pickle slices or even attempted to can beets or even chutney's. But we never seem to get down to some of the more interesting ways we can preserve. Maybe it is because we don't know the steps to canning vegetables. Or maybe we fear the reports associated with the dangers of canning some misunderstood vegetable. Or maybe it is just that we don't know what can be canned. Well, there is great news for those that feel especially challenged in the art of preserving. Several great resources are here to assist you. The first is the Ball Blue Book guide to preserving. Within its 128 pages, it starts with the premise that knowing the basic building steps, one can build and learn to can items from tomatoes to meats and seafood's. It is very well written and has over a 101 year history on trying to demystify the art of preserving. 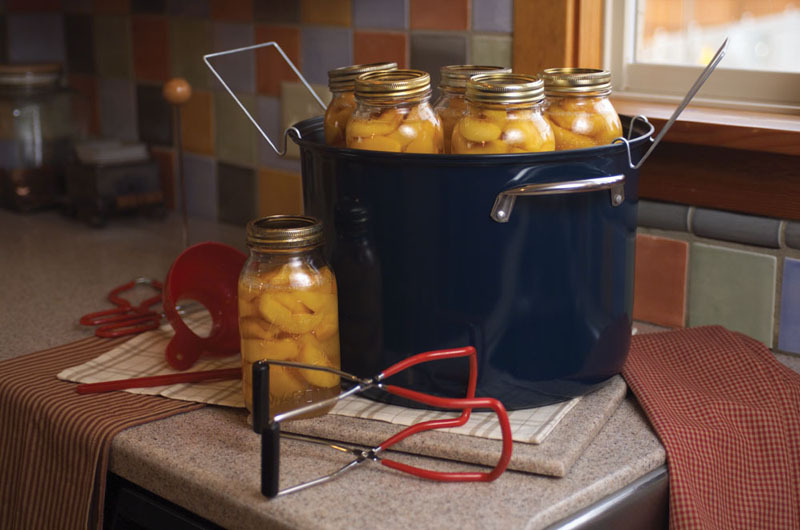 Another great resource is the National Center for Home Food Preservation . Yes, those people that are charged with keeping us all safe from food borne illnesses have a great website that has answers to your home canning questions. The National Center for Home Food Preservation is your source for current research-based recommendations for most methods of home food preservation.The Center was established with funding from the Cooperative State Research, Education and Extension Service, U.S. Department of Agriculture (CSREES-USDA) to address food safety concerns for those who practice and teach home food preservation and processing methods. Don't have the supplies? Here is a online source. Home canning Supply Store. They seem to have a good selection of supplies for the home canner. Also check your local market. Supplies can usually be found in the baking or home kitchen supply area. Many local farmers markets have local farmers and resources willing to help answer your questions. As well as the local university or county extention service. Just look in your local phone book or follow the links provided above. So the next time you find yourself with a extra 20 pounds of cherries, or your local mega-mart has a sale on sweet corn on the cob, look toward that trusty canning pot that you had confused as a stock pot and get to preserving. When the fall and winter arrive and you open that jar of your fresh peaches, and you can taste the full richness of that peach, life will forever be sold on the power of preserving.